There is no question that I love polka dots! 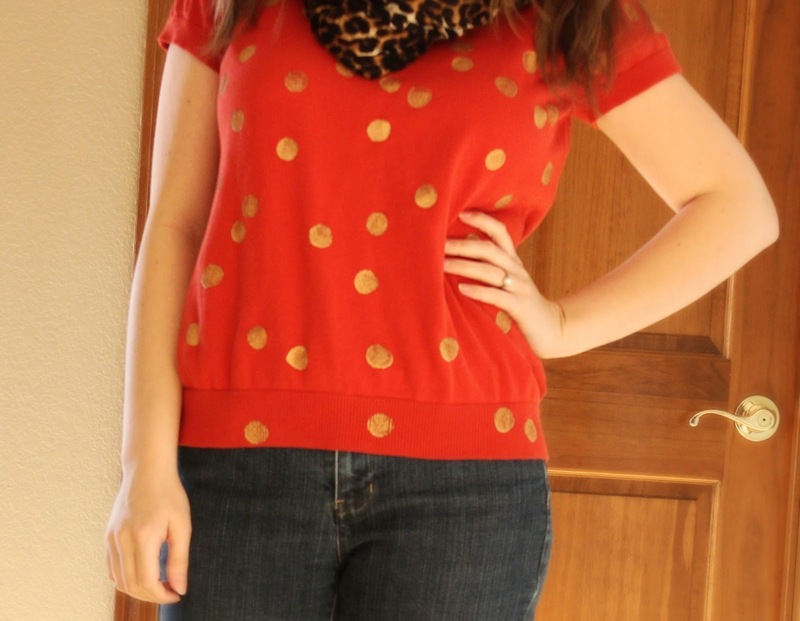 The first polka dot shirt I ever purchased was featured on this post. For this DIY, all you need is a shirt (I got mine at Goodwill for $1.50), fabric paint and a round brush. I am using the Lumiere 2.25 oz. 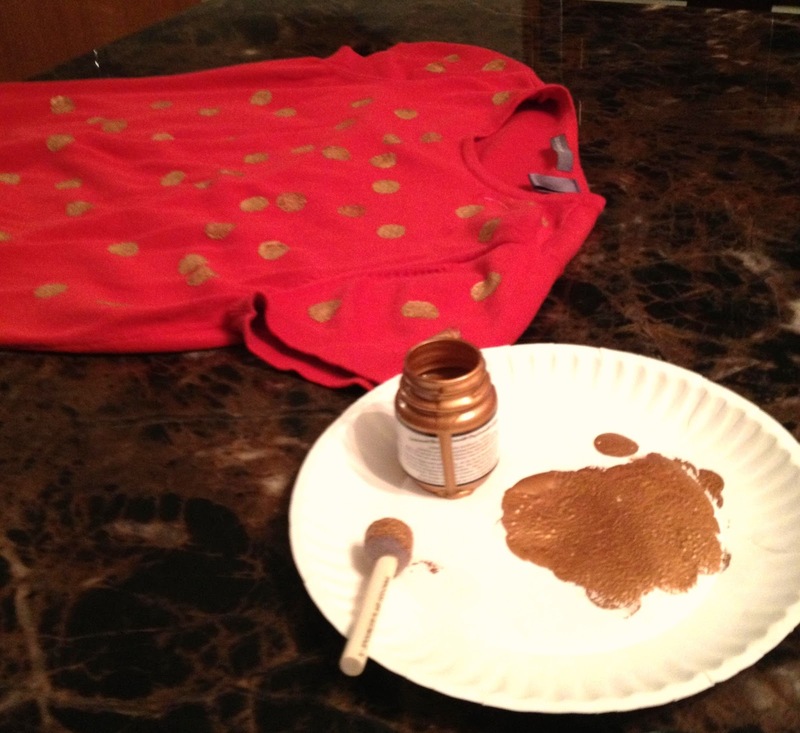 Fabric Paint in Metallic Bronze from JoAnn's but any fabric paint will do. Dip the brush in the paint and and pat it once on the paper plate before each print on the shirt. I would get about 2 fully covered dots per dip in paint. Dot away and let dry overnight. That's it!